An antiseptic synergy of essential oils soft for your skin. At last! A purifying product that leaves your skin healthy thanks to its ingredients, both antiseptic and soft on your hands. This blend is a synergy of antiseptic essential oils chosen for their non-harshness. Ingredients: Lavandin super, niaouli, lemon, palmarosa. Properties: Antiseptic, antifongal and antibacterial. This antiseptic blend help clean the ambient air. 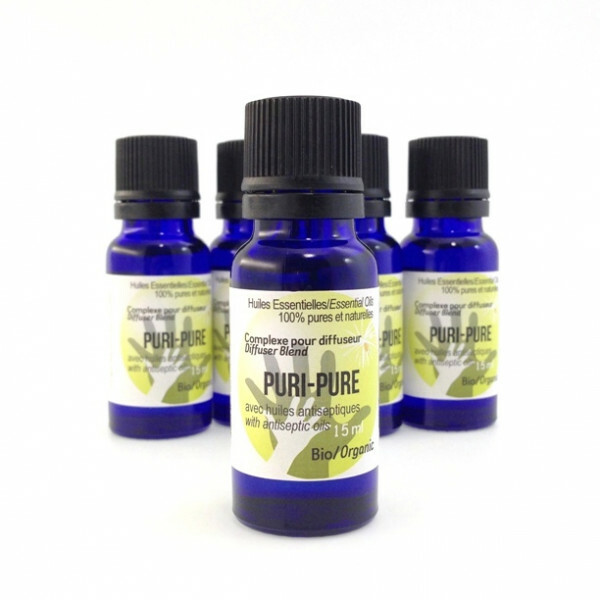 Antibacterial blend perfect for hand care during cold et flu season. Directly on the skin, in your hand soap or dishwashing liquid. You can also add a few drops to baking soda and clean your sinks.